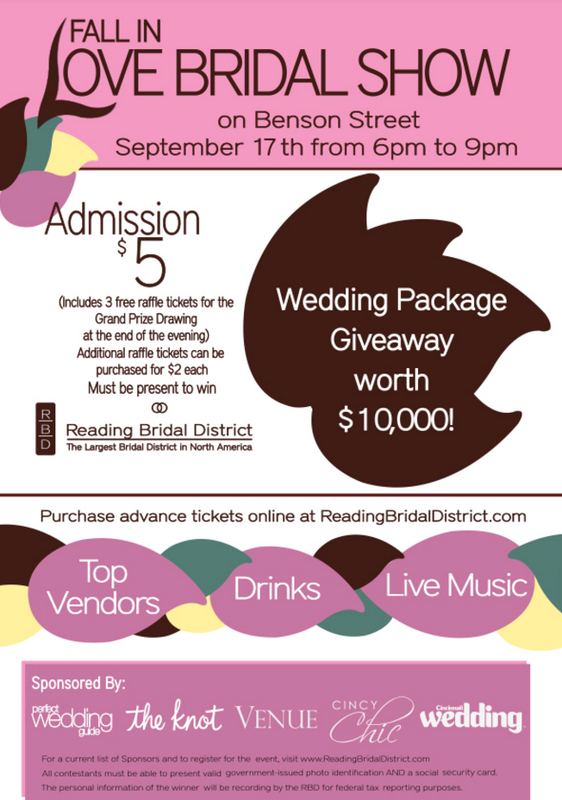 Cincy Chic is working with the Reading Bridal District to put together this AWESOME event for local brides! Man, I wish there were events like this when I was getting married (does that make me sound old? haha!) But seriously, if you have wedding bells in your future, grab your gal pals and come to enjoy this fun night. You’ll get to pop in lots of fun bridal shops to get ideas, enjoy refreshments, and enter to win tons of prizes (like a $10k wedding giveaway!). All the details are below – hope to see you there! Spend the evening on the streets of the Reading Bridal District & meet dozens of wedding professionals to make your wedding perfect & a chance to win a wedding giveaway. Love is in the air! With the holidays, new years and Valentine’s Day, lots of local ladies are getting popped the question! It’s extra exciting, because several of my friends are among these lucky ladies! So, between Cincy Chic and these gal pals, I’ve become quite familiar with the local wedding scene. And I have to tell you, “Yours Truly, Kelly” in the Reading Bridal District is THE place to go for your wedding dress, ladies! Yours Truly, Kelly is the city’s largest “Off the Rack” bridal boutique. They offer an entire selection of brand new, sample, and “once-loved” designer bridal gowns at a fraction of retail prices. The majority of the wedding gown selection is 50%-75% off retail. They also now offer exclusive designer gowns that are made to order in your size and color preference. You’ll also love the owner Kelly – she is SUPER sweet. She has more than 15 years experience in the fashion retail industry, working for designers such as: Michael Kors, Sigrid Olsen, Ralph Lauren, and Liz Claiborne. 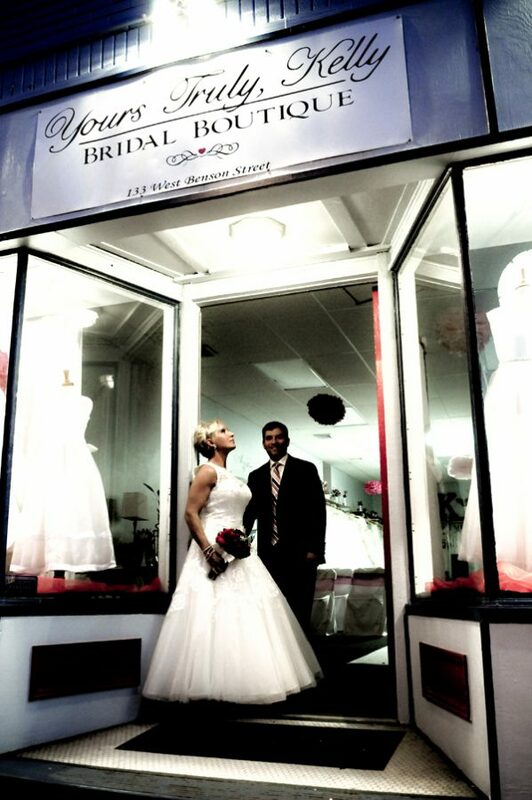 She’s always dreamed of owning her own bridal boutique, and she finally did it when she opened up shop in November 2011! So, if you’re in the market for a new wedding gown, definitely stop in and meet Kelly and see if she can help you find the perfect dress for your big day!